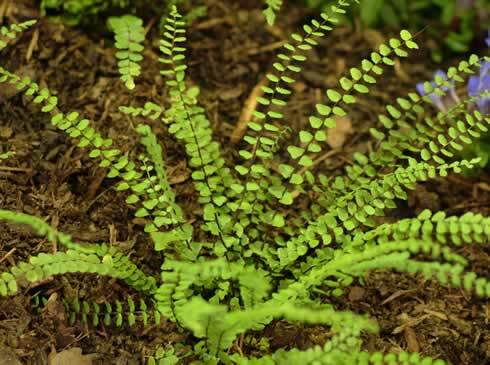 Pale green leaflets and deep brown stems make this an attractive fern. A very easy native species to grow with evergreen foliage. The leaves of this species are composed of numerous tiny leaflets held onto a wiry deep brown central stem which comes from the centre of the rosette. Numerous rosettes make a clump. Good for shadier parts of the rock garden or planting into stone walls etc.